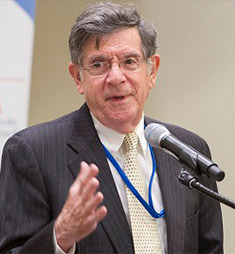 Mr. Rosenthal has held senior positions in the Guatemalan Government – he was Minister of Planning and Foreign Minister between 1969-1974 and 2006-2008, respectively – and with the United Nations. He was the Executive Secretary of the Economic Commission for Latin America and the Caribbean (ECLAC) from 1989 to 1997 and has since been Permanent Representative of Guatemala to the United Nations twice (1999-2004, 2008-2014), heading his delegation in the Security Council during 2012 and 2013. In January 2015 the then Secretary-General nominated Mr. Rosenthal as a member of the Advisory Group of Experts on the Review of the Peacebuilding Architecture.